“My graces languish, my corruptions rage, my faith is weak, my devotion is cold; all these are reasons why His healing hand should be laid upon me.” This was said by one of my favorite theologians, Charles H. Spurgeon. I love sharing the knowledge that I discover along my journey of faith. Inspirational quotes from Christian leaders while inspiring others with enlightenment that comes from these discoveries is what motivates me to continue sharing. 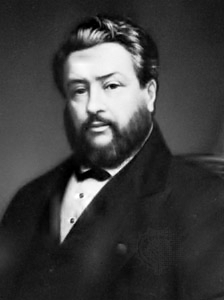 Charles Haddon Spurgeon (1834-1892) was well-known London pastor during the mid-1800s. He authored numerous works and some considered them, ‘soul winners.’ Charles Spurgeon died 120 years ago but his words still carry a strong message. His words are poetic thrusts of wisdom introducing perception and real insight for the world we live in. Spurgeon devotionals begin with Bible verse. Then he dives deeper. He opens his soul with spirit filled knowledge that penetrates a strong faith. Charles Spurgeon’s words encourage the mourning. Here Spurgeon gives his reader an ‘aha’ moment. One of those nostalgia memories of days gone by, he takes the reader down the path one may fear to travel. “The hand of the Lord may also be felt in another manner strengthening the soul and lifting the spirit upward towards eternal things,” says Charles Spurgeon. Charles Spurgeon’s devotionals are inspiring. If you’re looking for inspirational thoughts and need encouragement, read from his Morning and Evening Devotionals. Then lay your troubles down and cast your burdens at the foot of the cross.